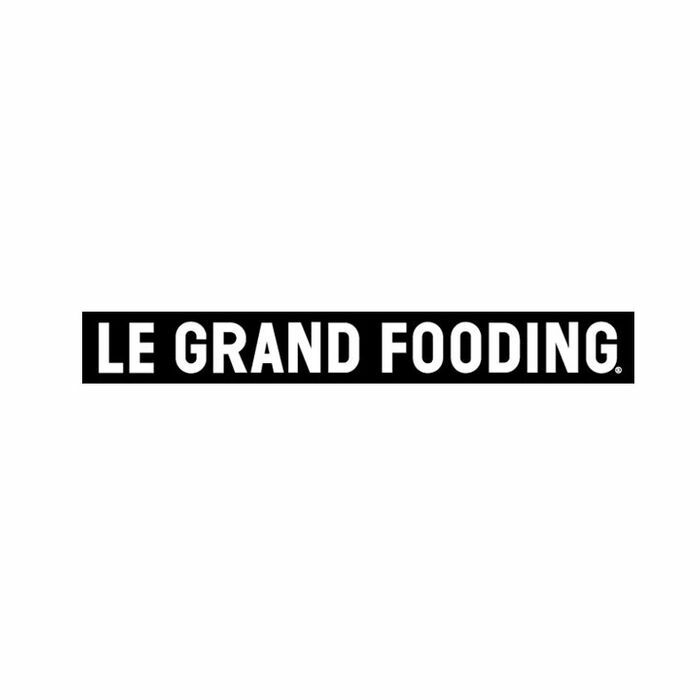 Although there hasn’t yet been an official announcement, ticket listings went live this morning (before being pulled after the group saw this post)* for this year’s anticipated installment of Le Grand Fooding New York, and the event now has a Facebook page. The multi-day party, with many installments in a few locations, doubles as a massive benefit for Action Against Hunger, and this year is called, appropriately, Le Fooding Brooklyn Fling. First details make it seem a lot less of a grand GoogaMooga rubbernecking blowout, and more like a pared-down panopoly of culinary firepower. The schedule, now available online, starts September 19 and runs through September 23. You’re going to want to see what’s in store. It’s a full week: The Franks will cook with Sean Brock at Frankie’s 457, while legendary French chef Alain Senderens will work vegan magic at Maimonide of Brooklyn with American-in-Paris chef Daniel Rose. The Frej team will meet up with London’s lauded Young Turks; Danny Bowien, Hugue Dufour, Pierre Hermé, ex-Isa chef Ignacio Mattos, and others will join a veritable global village of street food vendors during the Brooklyn Fling. Here’s a closer look at TicketLeap’s breakdown of the weekend. On September 20, at Frankies 457, Brooklyn pioneers Frank Castronovo and Frank Falcinelli of Frankies 457 will cook with Charleston’s farm-to-table hero Sean Brock of Husk (CHARLESTON, USA). Entrance fee is $75, including a dinner tasting menu and half bottle of Veuve Clicquot champagne. Twenty percent of each ticket sold goes to Action Against Hunger | ACF-International. On September 21, at Maimonide of Brooklyn, the unfathomable New York-Paris vegan host duo Neal Harden and Alain Senderens will cook with Daniel Rose of Spring, the small American fry turned superstar in Paris. Each day, enjoy a cult Brooklyn movie + a Nespresso-infused brunch prepared by Russell Dougherty (NiteHawk Cinema, USA) and Inaki Aizpitarte (of Le Chateaubriand and Le Dauphin, Paris). On September 22 : Saturday Night Fever, directed by John Badham. On September 23: The Warriors, directed by Walter Hill. Entrance fee is $20, including a brunch tasting menu, Nespresso coffee, and movie. Twenty percent of each ticket sold goes to Action Against Hunger | ACF-International. On September 22 (at the Fort Greene Brooklyn Flea) and September 23 (at the Williamsburg Brooklyn Flea), Le Fooding and S. Pellegrino invite you to go back in time with a picnic in the magical heart of the Brooklyn Flea. Magnus Nilsson (Faviken Magasinet, Sweden), Bertrand Grébaut (Septime, France) and the Van Leeuwen crew (Van Leeuwen Artisan Ice Cream, USA) will pay an avant-garde homage to vintage foods. Entrance fee is $15, including a lunch tasting menu + S. Pellegrino and Acqua Panna waters. Twenty percent of each ticket sold goes to Action Against Hunger | ACF-International. Feast your ears on Yasiin Bey aka Mos Def, Mike D, Andrew Wyatt of Miike Snow + special guests…. To please your bellies: The Brooklyn Flea food vendors (The Meat Hook, Mile End Delicatessen, Choncho’s Taco, Brooklyn Bangers & PizzaMoto) + guest stars (the “Picasso of pastry” Pierre Hermé, Inaki Aizpitarte of Le Chateaubriand, Paris; the Young Turks from London; Daniel Rose of Spring, Paris; Fredrik Berselius & Richard Kuo of Frej, NY; Danny Bowien of Mission Chinese, SF/ NYC; &the; Fat Radish team to entertain the VIP area). Twenty percent of each ticket sold goes to Action Against Hunger | ACF-International. *A rep for the event lets us know that the ticketing site went live too early. Because of that, the information here is not final, and may change before an official announcement is made.